RE | Solutions (RES) is supporting Lincoln Equities Group (LEG) to purchase and redevelop the former Military Ocean Terminal Bayonne (MOTBY). The former MOTBY property covers 152.9 acres and has been largely under-utilized as an automobile roll on/roll off terminal and outdoor storage yard. The entire site is reclaimed land created from material dredged from New York Harbor in the early 1900s. The dredged material that was used for construction of the “peninsula” contained a range of contaminants. Subsequent to filling of the site, the United States government built several million square feet of warehouse space on the eastern half of the “peninsula” and used the western half for various military activities. The property was further contaminated during the period of its military use. The property was closed under the Base Realignment and Closure program (BRAC) and sold to the Redevelopment Authority of the City of Bayonne, New Jersey. In the early 2000s the City of Bayonne embarked upon a plan to redevelop MOTBY for mixed-use development. However, no substantial redevelopment has occurred on the site, itself. The adjoining parcels to the south and west were raised with fill, developed with infrastructure, and a 552-unit multi-family residential building was constructed. Additionally, in 2004 Royal Caribbean opened a cruise port on the eastern corner of the peninsula, and in 2010 the Port Authority of New York and New Jersey acquired 131 acres along the southeastern quadrant of the peninsula with the intent to maintain the Peninsula at Bayonne Harbor as an industrial site. RES’ work on the project has included assisting LEG in making the offer presentation to the previous property owner, Ports America (Oaktree Capital Management) and following execution of the Purchase and Sale Agreement, managing all environmental and risk management responsibilities during due diligence. RES is currently serving as the project manager for the horizontal development of the site, including building demolition, filling of the property to create new building pads above the “post-Sandy” flood elevation, and completing other horizontal site improvements. 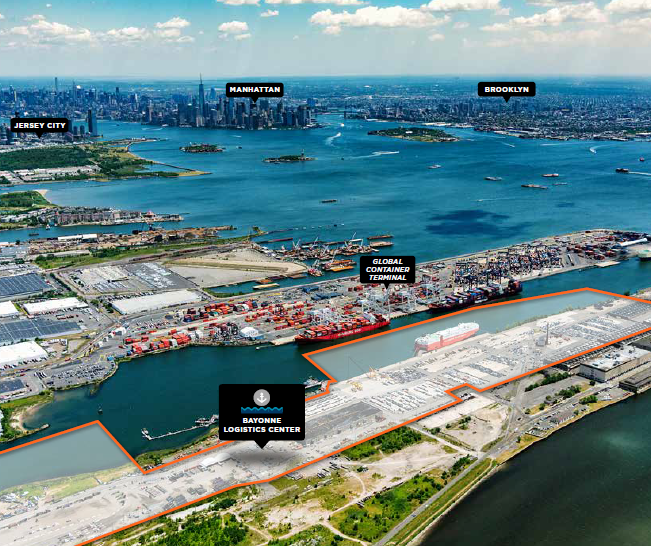 The development plan for the property includes construction of over 1.2 million square feet of modern warehouse/distribution buildings to serve port-related shipping and logistics activities. RES has both a fee and equity interest in the project.